High-spirited young Tom Swift is off on another of his many exciting adventures. This time he's in search of gold in an underground lost city. 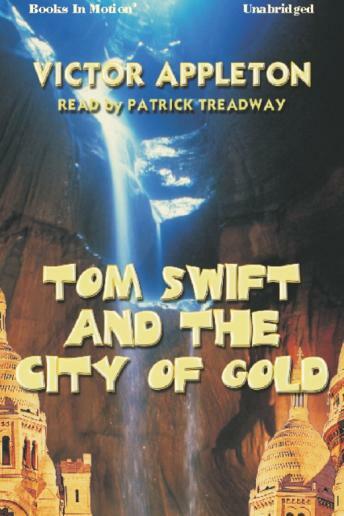 Tom finds the lost city in a remote area of Mexico, and he finds the gold. Getting into the city was difficult for the adventurers, but when they try to get out, then their real adventure begins. Tom and his companions find themselves trapped in an underground city which contains as many traps and mazes as an Egyptian pyramid.